Activism isn’t about winning every fight. It’s about getting out there and fighting. When we see changes that need to be made in the community, in the environment, or in the political arena, we need to band together and speak as one. If we are silent, we are complicit in what happens to us. 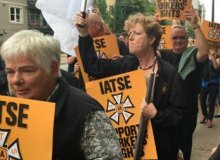 Developing and supporting activists is imperative for all IATSE local unions. It is also necessary for building our union - that's why we published an activism manual to encourage local unions and their leaders to get active and to help these leaders seek out their own member activists. Click here to view the manual. / Cliquez ici pour lire le guide de l’activisme. The manual discusses what forms activism can take, helps locals to identify potential member activists, and then offers assistance on how to conduct campaigns. To keep things manageable, the elements of a campaign will be broken down, and the tools to help ensure success will be covered. We hope that our local union leaders can use this guide as a tool to make their local an activist local. If you have stories or photos of your local participating in activism, send us an email: activism@iatse.net. 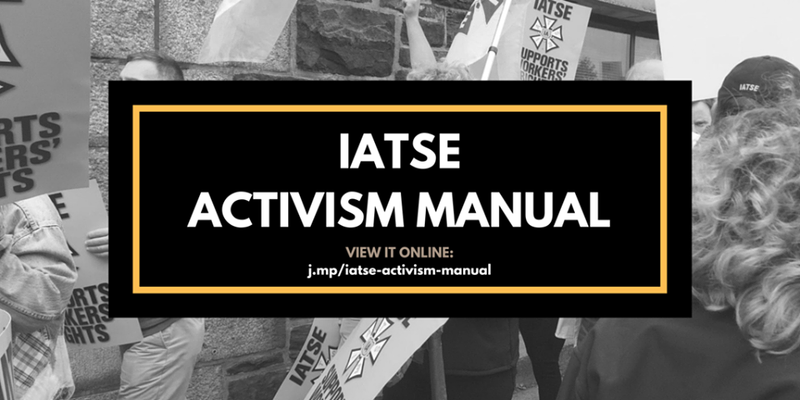 Click here to check out the activism manual. / Cliquez ici pour lire le guide de l’activisme.